Bliss Fabulips Instant Lip Plumper, US $22, is product that promises to instantly plump your lips with a moisture boost while also defining the contour of your mouth with continued, long-term product use. This product has been formulated by Bliss, a spa product line born in the So Ho District of New York City in 1996, promising to bring back the fun and the joy in beauty. Cork tree extract: facilitates plumping of your lips by giving your skin an ultra hydration boost. Tocopheryl Acetate: also Vitamin E, deep nourishes your lips while also providing strong antioxidant protection and supporting the refortification of your skin’s protective barriers. Tetrahexyldecyl Ascorbate: also Vitamin C, revitalizes your skin cells to significantly cutdown on the time it takes to restore your skin’s optimal health level. Peptide Complex: improves skin synthesis and skin cell communication so that repairs can happen faster. Retinyl Palmitate: enhances collagen production. 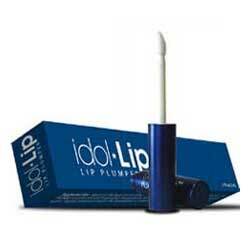 Apply Bliss Fabulips Instant Lip Plumper generously over clean lips. Keep reapplying throughout the day as you deem necessary to keep your lips moist and comfortable. Product is enriched with ingredients in its formula that are well-known to redound to longer-term benefits with regular use over a prolonged period of use. Contains several ingredients that enhance lip repair and rejuvenation, including boosting collagen production. Product performs multiple functions that produce multiple beneficial results that ranges from regeneration to protection. Formula brings comfort to dry, damaged lips. Product contains menthol and fragrance ingredients. Product contains benzyl benzoate a highly irritating and inflammatory ingredient, the risk of which triples when the substance comes into contact with cracked, blistered or wounded skin. Due to the presence of sensitizing ingredients in this product’s formula, this product is not recommended for use on sensitive and problematic skin types. Bliss Fabulips Instant Lip Plumper is made with a formula that clearly outperforms most other products that also claim to be able to moisture your lips and give it an instant boost at the same time. Unfortunately, the benefits are cancelled out by the many disadvantages that this product poses to the health of skin on your lips, and your health and well-being in general.